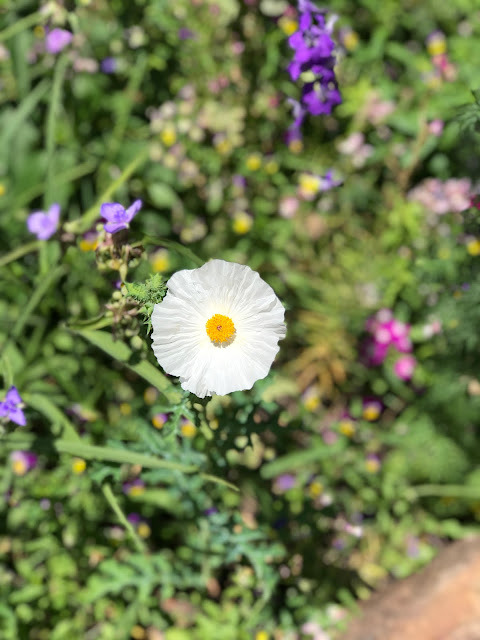 The HG and I made a brief foray into the blazing sun to capture three of our favorite blooms for Garden Bloggers' Bloom Day. The HG apologizes for the poor quality of the pictures ... I used my iPhone instead of my good camera. It's too hot to have that dang G11 hanging around my neck! the day after Hurricane Ike. star inside the blooms just the coolest thing ever? Garden Bloggers' Bloom Day is the monthly celebration of blooming beauty in the gardens of bloggers around the world. Click on over to May Dreams Gardens, home to GBBD instigator and Elizabeth Lawrence aficionado, Carol! Texas Star Hibiscus is lovely!